As per the earlier mandate of the UPA government, Aadhar enabled bank account was the basis of the transfer of subsidy amount directly to the bank account. As the government is emphasizing on linking Aadhar card with bank accounts, there is a need to review some of the benefits that are attached with Aadhaar card. 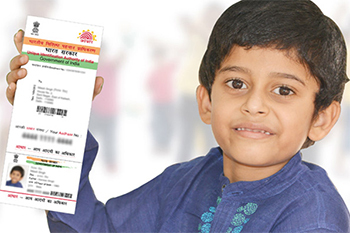 Before delving on the subject, it is important to note that Aadhar number is a 12 digit UID (unique identification number). Here are the benefits that come with Aadhar card. 1. Direct Benefits Transfer (DBTL) - As per the earlier mandate of the UPA government, Aadhar enabled bank account was the basis of the transfer of subsidy amount directly to the bank account. The process remains the same during the Modi-led government as the subsidy amount gets credited to bank account. However, if an individual does not require subsidy, then he/she can opt out of the scheme. 2. Scholarships - Students entitled to receive a scholarship from the government will get the amount credited to the Aadhaar enabled bank account. The need for linking Aadhaar to the bank account for receiving scholarships is implemented only for a few select Indian states. 3. Access to DigiLocker - The government’s initiative to allow every individual store their personal documents on its server through DigiLocker. The access to this facility requires one to have a valid Aadhaar card number. 4. Monthly Pension payments - For the convenient and seamless transfer of pension amount, the government has made it mandatory for pensioners of select states to register their Aadhaar number with the respective department to receive pension payments. The move is also intended to curb fraudulent practices of claiming pension by beneficiaries. 5. Payment of Provident Fund - The government has also made it mandatory for employees to link their Aadhaar number with the EPFO (Employee Provident Fund Organization) for claiming the proceeds. 6. Digital Life Certificate - Under the ‘Jeevan Praman for Pensioners’ initiative, the government will put an end to the woes of pensioners by doing away with the need of being physically present to receive the pension. In this scheme, the pensioners will be granted digital life certificate, which will enable smooth transfer of pension payments to their Aadhaar enabled bank accounts.